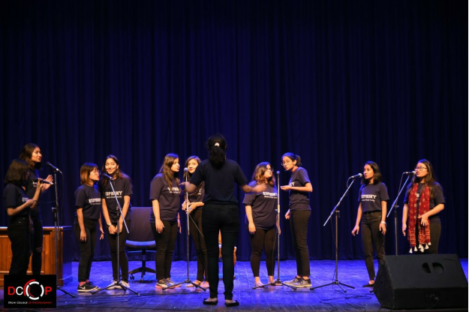 Euphony, the western music society of Gargi College, every year excels itself in acapella and displays a wide range of musical genres such as jazz, rock, pop, grunge, rap etc. that are pursued passionately by its members. Thus the compositions by the society are not only unique but also inspiring and extremely grasping to the audience. The society is known for specializing in Acapella. Every year, the eclectic tastes of the members of the society are incorporated in the productions of solos, duets and quartets along with choir. This year’s production included medley of popular songs of different genres arranged by the members along with the famous classical piece Time To Say Goodbye. We always continue to make the music we believe in and the one we love!